"Jesus ("Jesse") Quezada, Jr., the founding principal of the Quezada Law Firm, has been a resident of South Texas for the past 39 years, and a licensed attorney for a period of 17 years. 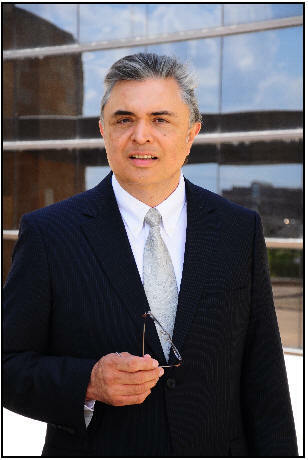 A 1995 graduate of the University of Houston Law Center, he was bestowed various honors during his law school career, including the American Jurisprudence Award for Civil Trial Advocacy, the Best Advocate Award for a Trial Advocacy Final Trial, an Outstanding Achievement Award for Legal Research, and was a recipient of the University of Houston Law Center's Distinguished Service Award, in addition to being selected by his fellow law students to deliver the 1995 Commencement Speak on behalf of the graduating class. The practice of the Quezada Law Firm is concentrated in the aggressive representation of individuals and entities who are named as Defendants in litigation and who are insured through various insurance companies. An analysis of the facts and legal issues during the early phases of litigation, with the purpose of arriving at a reasonable assessment of the potential exposure to an insured, and the thorough and timely reporting to an insurer, is critical to the efficient resolution and disposition of a case. As a certified mediator who has mediated over 40 cases since the year 2009, Jesus Quezada, Jr., also possesses the negotiation skills to assist in the resolution of a case. The success attained by Jesus Quezada, Jr., in the courtrooms before South Texas Juries during the past 17 years, is attributable to extensive preparation and attention to details, including the thorough investigation of the claims asserted, in addition to the establishment of credibility and a personal connection with the members of the Jury, which is initiated during Voir Dire, or Jury selection, and is solidified throughout opening statements and the presentation of evidence, and reaffirmed during closing arguments.